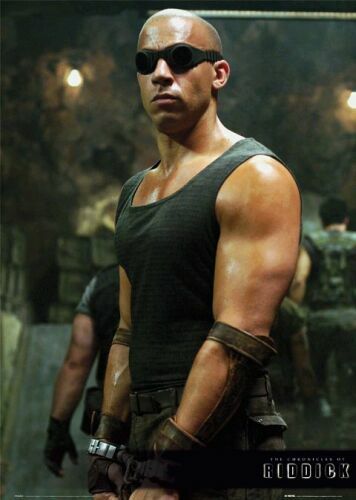 A friend of mine in college once contrasted Russell Crowe and Vin Diesel. One, she said, was great actor but a horrible human being; the other was a great human being but a horrible actor. The point was that the ideal actor would be some combination of Crowe and Diesel, perhaps “Russell Diesel” or “Vin Crowe” (actually, I like that one!). “Vin Crowe” would be the best of both worlds. But what surprised me is her mention that Vin Diesel plays Dungeons and Dragons. Yes, the star of the Fast and the Furious series rolls a D20. And Diesel’s no casual fan, either. Playing for 20 years, he’s been a DM for many campaigns, written material for D & D manuals, and had his favorite PC tattooed on him. It’s such a surprise because a high-profile action star isn’t what one has come to expect from the typical role-playing geek. Well, there shouldn’t be such a thing. What disarms me the most is how fit he is.